Grand Larceny is a Felony criminal offense in Las Vegas, Nevada. Nevada Revised Statute “NRS” 205.220 defines Grand Larceny as, any intentionally stealing, taking and carrying away of the personal goods or property of another, with a value of $650 or more. For example, if Jesse walked into a Best Buy, and removed from the counter 2 pairs of the newest edition of Beats by Dre headphones, with a total value of $650, without the intention of paying for it, he has committed a Grand Larceny felony offense. If charged, Jesse would face a fine of up to $10,000, restitution to the victim, and 1-5 years in prison. If Jesse stole an item that was valued at $3,500 or more he could face 1-10 years in prison. Lastly, under this example, Jesse could also be charged with Burglary, if the prosecution can prove he entered the Best Buy with the intent to commit a felony, in this case, said felony being grand larceny. 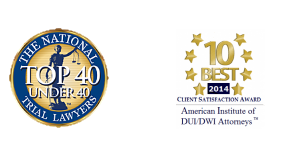 Las Vegas Criminal Defense Attorney Michael A. Troiano is experienced in defending his clients for a variety of theft related charges ranging from petty larceny, to high value embezzlement cases. 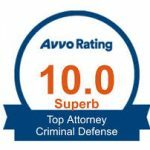 He will discuss all possible defenses on your grand larceny case and work towards a dismissal or reduction to a lesser non theft related offense and help you avoid prison.